This Colonial Revival style building has two stories, an asphalt shingle roof and is intact. It is a 5-bay, center entrance, wood frame construction with two front hipped roof dormers with scrolled pediments. It has three massive brick chimneys with flared tops, painted white. There are two side wall chimneys on the main building and one center chimney on the left wing. It has wood clapboard siding and has a symmetrically organized front façade on the main section. The center pavilion has projecting pediment with modillions and a fanlight at the attic level. It has frieze windows and a Paladian window on the 2nd floor with Adamesque ornamentation. There is a semi-circular entrance porch with fluted Corinthian columns, and a recessed main entrance with paneled walls and built-in benches on the sides. The porch entry surround has triglyphs, metopes, pillars, consol braces with spindles between pillars at the outer end of the benches. The front door surround has sidelights with Chi noise pattern. The 1st floor windows have multi-paned upper sashes with oval at center, trim with entablature and scrolled pediments with large torch finials and applied garland swags on frieze. There is a large 2-story recessed hipped-roof wing off left side with secondary front entry and shed-roofed porch for the left side entry. The windows and doors appear to be intact. The semi-circular driveway in the front yard has 2 curb cuts and centers on the front entrance. This house is a notably early example of the Colonial Revival style, predating McKim Mead and White’s “Homestead, built in Lenox in 1885 (demolished). According to a guidebook of the period, it is “of the old Colonial style, and is among the first of that style of architecture in the village, of the later day adaptation of that sort of home”. The house has the central pavilion, palladian windows, attic story windows and roof balustrade that are characteristic of the Colonial Revival. The ornamentation is somewhat exaggerated and less historically accurate than later examples of the style. Labeled “Frelinghuysen Est.” on 1894 Barnes & Jenks Map; footprint on 1893 Sanborn Map matches the current configuration. Most recently, in 2010, Scott Shortt purchased the Kemble Inn and has made extensive renovations. Frederick T. Frelinghuysen, who served as Secretary of Treasury under Chester A. Arthur, built this house in 1881. The house was handsomely furnished, and the Frelinghuysen’s entertained lavishly, with former President Arthur among their many guests. The house was subsequently owned by Thatcher Adams, who renamed it “Sundrum House” R.J. Flick purchased the property in the early 1930’s and lived in it while his estate “Uplands”, was under construction. 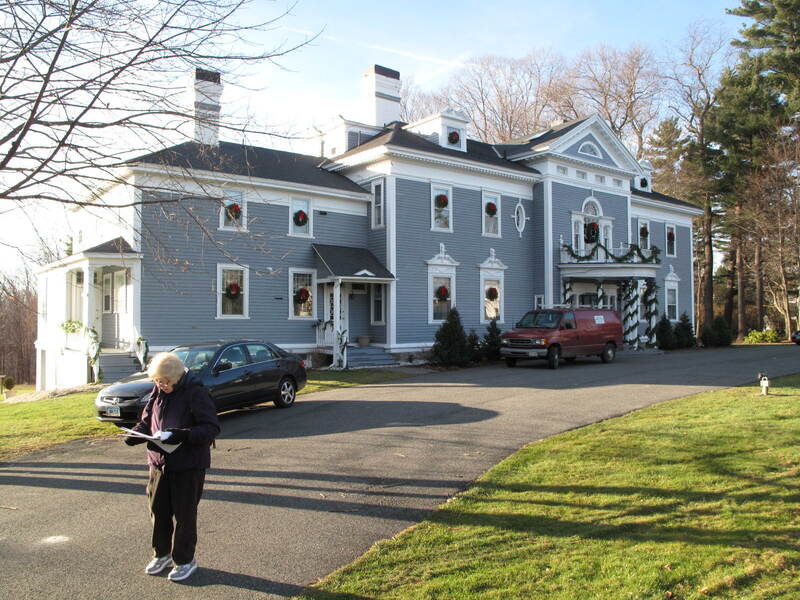 It was then sold to Mrs. Charles F. Bassett who gave the school to the Lenox School for Boys for use as a dormitory. 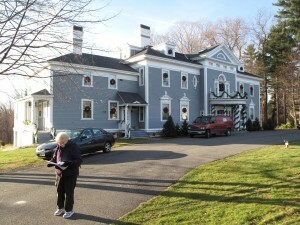 The property was purchased by John Reardon in 1993 and converted to an inn. It was purchased by J & N Inn, LLC in 2005 and then by the Frederick LLC in 2010. Inaccuracy to correct: Frelinghuysen served as Secretary of State, not Treasury.